Name needs to match that on the valid Photo I.D. Lansing Public Library Photo I.D. *If the Photo I.D. has the patron's current Lansing address, it may also serve as one item to prove address. P.O. Boxes are not accepted. 2 proofs of address required for renewals. By signing the electronic signature pad I agree to any and all of the library policies that apply to myself and/or any minor children for which I obtained a library card. I agree to be responsible for this card and all materials checked out on this card until this card is reported lost or missing. I assume responsibility for any charges that may result from late return, loss or damage of materials borrowed. I agree to comply with all library and system regulations. I agree to assume the same responsibilities for all minors for which I obtained cards. Individuals under the age of eighteen (18) are required to have a parent or guardian present when applying for a library card, and the adult must sign as the responsible party on the card. I understand that there are no age restrictions on borrowing library materials. I further understand any minor child will have access to filtered internet computers at the library. I agree that the library, its board and staff are in no way responsible for any content on the internet. I understand that Illinois law prohibits the library from disclosing any information concerning materials checked out on any card (including those of minors under age of 18) to anyone except the person whose name appears or is registered to a particular card. All patrons regardless of age agree to follow Lansing Public Library’s policies for internet/computer use. No one may tamper with any settings on library owned computers or other devices. No one may interfere with the security measures installed on our public computers or other devices. I acknowledge that using a library owned computer/device is a privilege not a right. Any violation of policy will result in loss of these privileges. A patron’s current library card, in good standing, must be presented to obtain materials and use library equipment. A patron whose card is lost or stolen should immediately report that information to the library. The patron is responsible for materials checked out prior to the library card being reported lost or stolen. Parents or guardians are responsible for educating their children in the use of their library card and library owned computers or devices. Library cards are valid for three (3) years or until the patron moves out of incorporated Lansing, IL. Cards will be renewed upon expiration if there are no current charges pending and the patron provides current photo ID and proof of address as required for a new card. 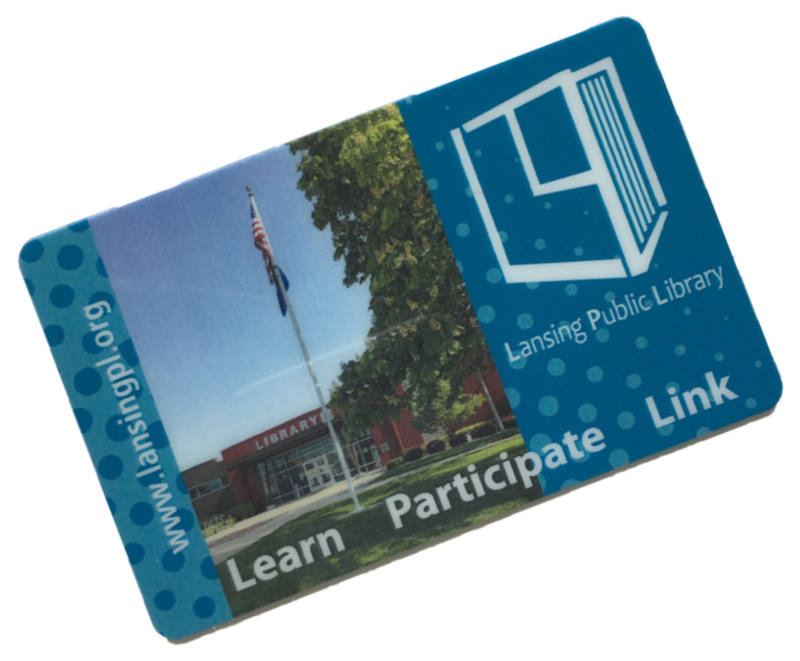 Lansing Public Library provides filtered internet access to any Lansing Public Library Cardholder and registered reciprocal borrowers in good standing. Good standing means a card is not expired and the patron does not owe any RAILS library $5 or more. Non-card holders with the proper ID may obtain a guest reservation. Non-card holders must present a photo ID to prove they are over age 18. Non-card holders under 18 without a parent may not use a computer. Only the person registered may use a computer. The workstations are limited to one user at a time, except for special circumstances with staff approval. An individual may use a library owned computer for up to three (3) hours per day based on availability. The Library may not be held responsible for any outcomes resulting from using the Internet or using information found on the Internet. The Library may not be held responsible for the content of any site accessed on the Internet. The Internet is public. There is no guarantee of privacy or security in any activity involving its use. Files saved on the hard drive will be deleted. Introduction of computer viruses to the system or the Internet are liable to legal action, including all costs incurred by the Library as a result of that activity. Spamming, harassment of any type, or any other illegal activity, such as copyright infringement, are strictly prohibited. No one may interfere in any way with another person's use of the computer. Library staff may supervise and may interrupt computer use if the policy is being violated or abused. Computer use cannot disrupt other patrons or staff. Failure to abide by the Library's Rules and Policies may result in suspension of computer privileges, and may result in legal action. Parents/caregivers are to supervise young children at all times, including while using computers. Parents/caregivers may be required to end their computer session to deal with children in their charge. Parents/caregivers accompanying children are responsible for assisting in use of recreational websites and explaining internet game rules. Lansing Public Library cardholders may use library computers for no charge provided that they bring their library card with them. Patrons must have their library cards to avoid a charge. Only the cardholder may use his or her card for this or any other library purpose. Monetary value may be added to your card and may be used to pay for printing. Please note if a Lansing Library Cardholder owes any RAILS library $5.00 or more they will be prohibited from using the computers until that amount is brought under $5.00. ***Please note that a session is a minimum of 60 minutes and that an individual may extend time as long as there is not someone with a reservation waiting to use that computer for a total maximum 180 minutes (3 hours) per day. ***Computers are logged off 15 minutes before closing time. This may make for a shortened session should you choose a session at the end of the business day. Faxing & printing incurs additional fees. Library cards are issued to Lansing residents free-of-charge with proper identification to prove residency. (A valid photo I.D. and two acceptable items with your current Lansing address. If the photo I.D. shows your current Lansing address, you only need to provide one additional acceptable item with your current Lansing address, such as a current utility bill.) Lansing residents under the age of 18 must have a parent or legal guardian, with proper identification, sign for them. Lost cards should be reported immediately and may be replaced for a $5.00 fee. You must present your card whenever borrowing material. Lost cards should be reported immediately and may be replaced for a $5.00 fee. The State of Illinois has mandated a new program to serve those who do not live within the service boundaries of a public library. All libraries in Illinois are required to inform their respective system by mid-August, 2002 whether they will participate or not. This decision needs to be revisited each year. This policy intends to comply with the rules in Illinois Administrative Code; Title 23; Subtitle B: Cultural Resources; Chapter 1: Secretary of State Part 3050; Public Library Non-Resident Services. Effective July 1, 2002. All library cards are system wide cards, and users are entitled to all services Lansing Public Library provides, and are subject to the rules and policies of Lansing Public Library. Pursuant to §3050.60 Lansing Public Library has selected the first option for calculating the fee for this service. The total amount of property taxes collected is divided by the population of the village (yielding the cost of library service per capita) and multiplying the result by the average number of persons per household (according to the most recent census.) which yields a final rate of $208.00 per household for FY 2018-2019. The new rate is set by the board in May of each year. Each family member will be issued a library card according to Lansing Public Library Policy. Non-Resident Cards are valid for one (1) calendar year from the date of issue. If such a card becomes, or is declared invalid by the library, all cards issued to that household become invalid until such time as the reason(s) for such action are cleared up to the library's satisfaction. No refunds of Non-Resident fees will be given. Pursuant to §3050.25 25 the area of service, for those not within the boundaries of Corporate Lansing, selected by Lansing Public Library under the provisions contained herein is bounded approximately by Interstate 394 on the West, the Illinois/Indiana Border on the East, the Little Calumet River on the North and Glenwood Lansing Road on the South; except areas already served by or annexed to another Public Library or as determined by the State Library or other legal authority or inter-agency agreement. A map is available at the Library to clarify these boundaries. Upon payment of the annual fee, nonresident taxpayers are entitled to a card at no charge. Only the person the card is issued to and whose picture is on file is entitled to use it. This card is valid at any participating RAILS library for the period of one year. 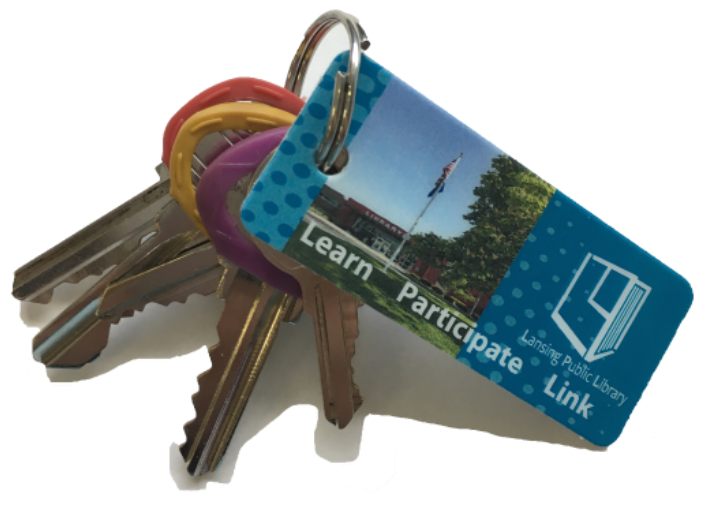 All Borrowers’ Cards remain the property of Lansing Library. 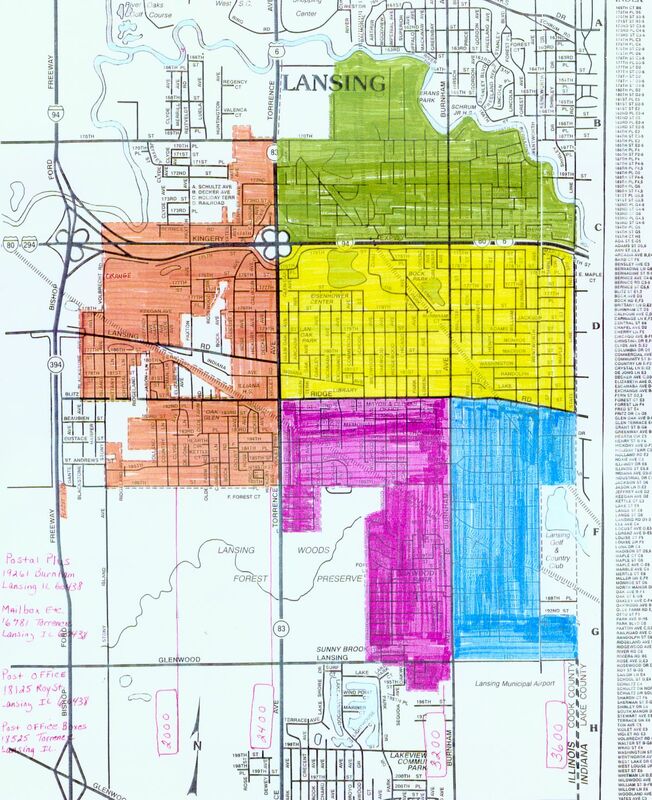 Lansing map used to determine residency. The borrowing privileges and use of any library services of a library patron will be suspended for such time as the patron or any member of the patron's immediate family (spouse, child, parent or sibling) living at the patron's address is indebted to the library as a result of damage to library property or for the failure to return any book, material or other personal property belonging to or in the custody of any RAILS library. Adult (18 or over) Lansing Public Library card holders may check out library owned laptops. Library users with a laptop or other wireless device can access the Internet via the Lansing Library's filtered wireless connection. Library users may provide their own devices with wireless capabilities. Users are responsible for setting up their own equipment. Library staff members are not permitted to provide direct assistance configuring patron owned devices. Printing is accessible via the wireless network. The library's wireless network is not secure. Information sent from or to your wireless device can be captured by anyone with a wireless device and the appropriate software. Users are responsible for virus protection, personal firewall, and other measures to protect the information on their device. The library is not responsible for any loss of information or damage to your device that might result from using the wireless network.